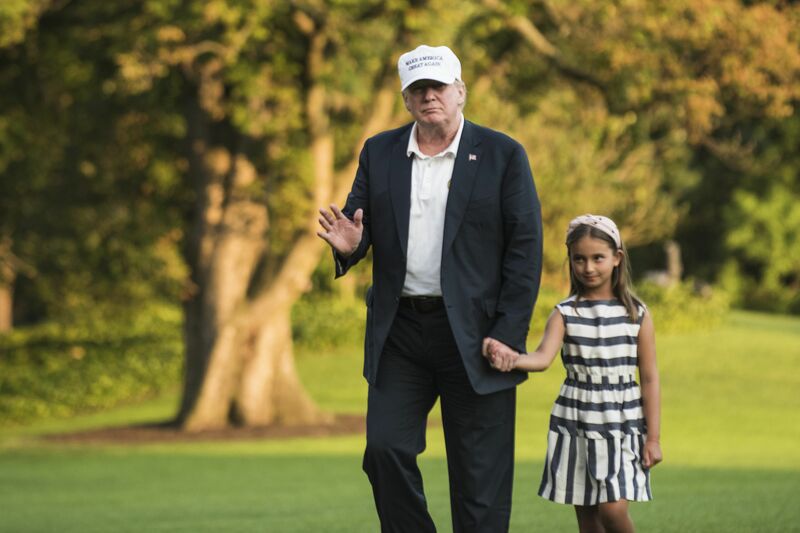 President Trump was joined by his family at his golf resort in Bedminsiter, New Jersey, this weekend. 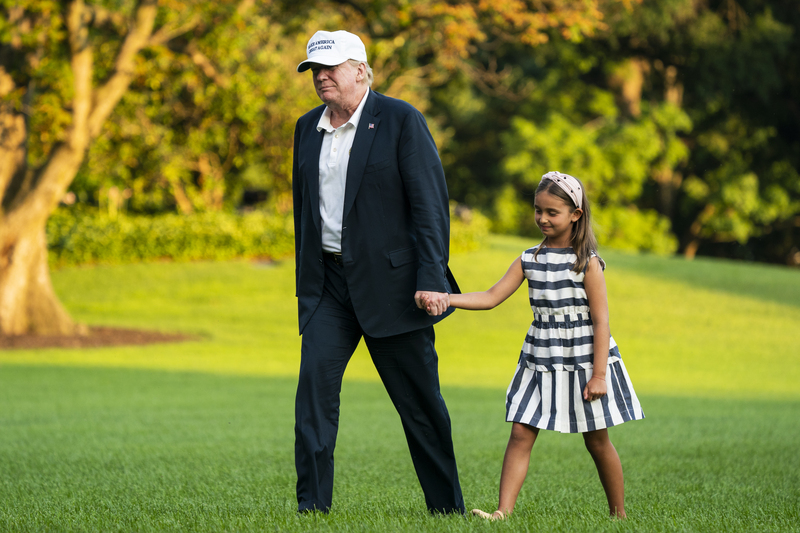 The president tweeted often from the location, but there were few public appearances. 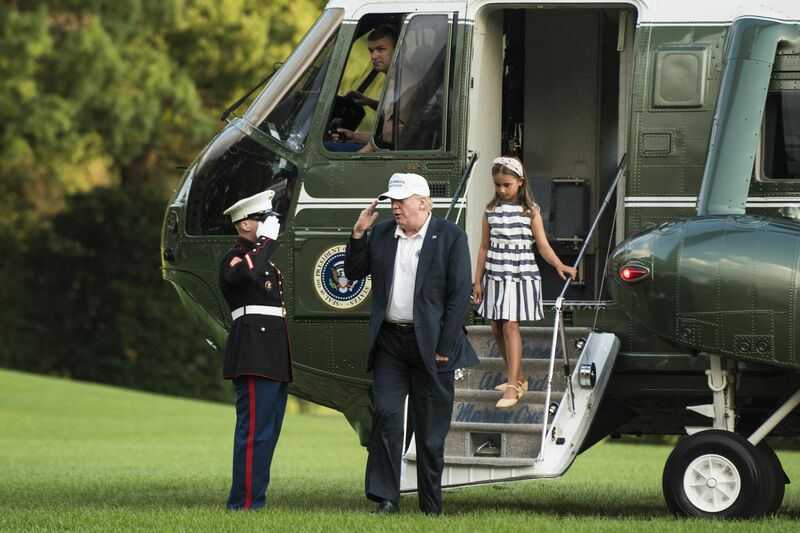 After departing on Friday the president re-emerged at the White House late Sunday evening. 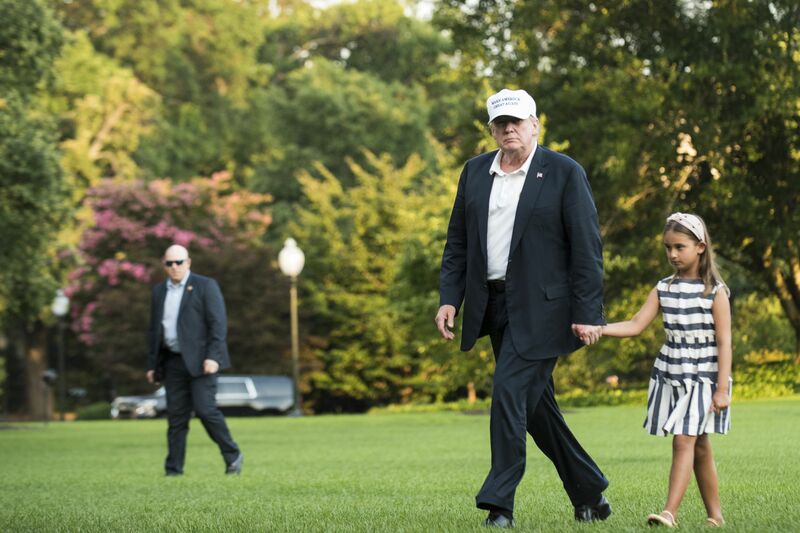 Trump often departs Marine One on the White House South Lawn alone or accompanied by his wife Melania. 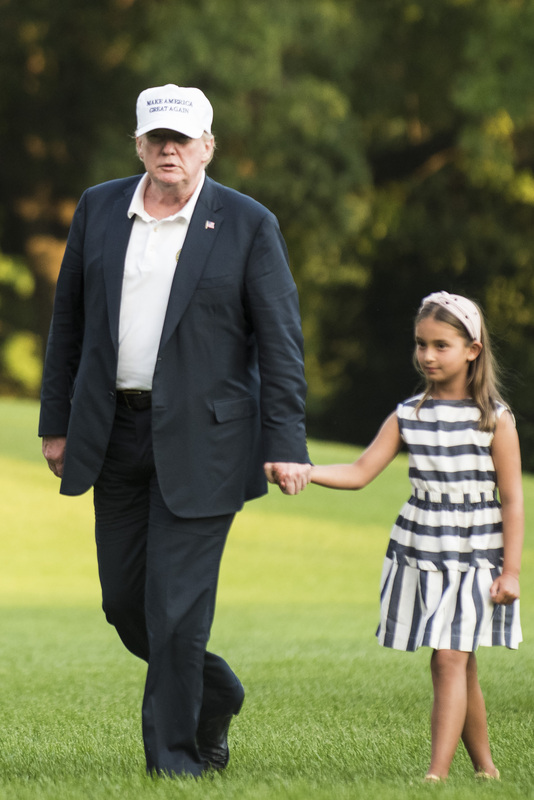 On this particular Sunday night, however, Trump was joined by his granddaughter, Arabella. 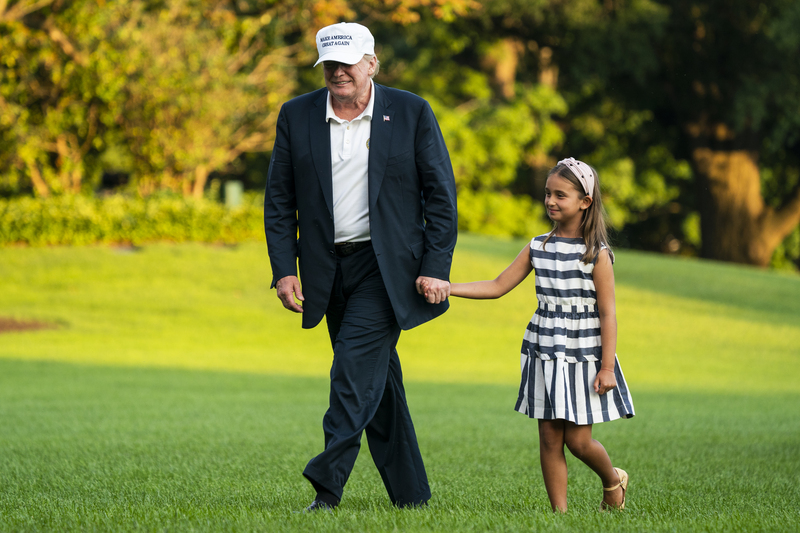 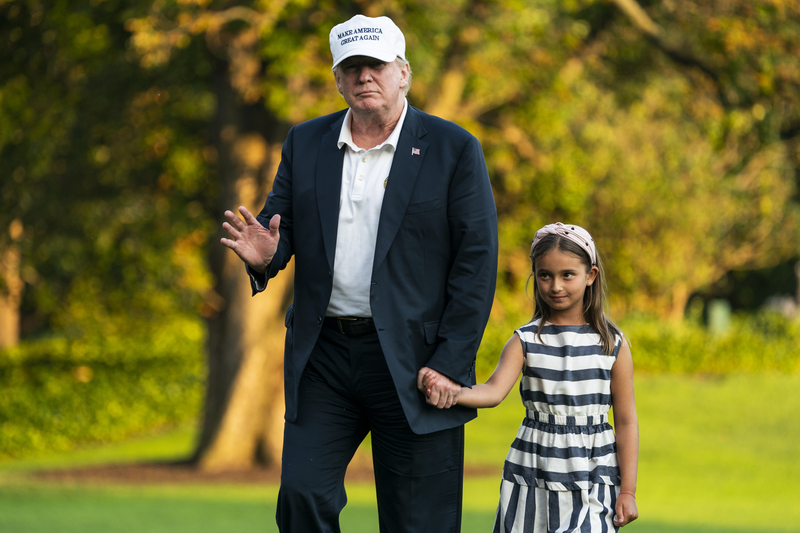 Arabella is the seven-year-old granddaughter of president Trump and the daughter of Ivanka Trump and Jared Kushner. 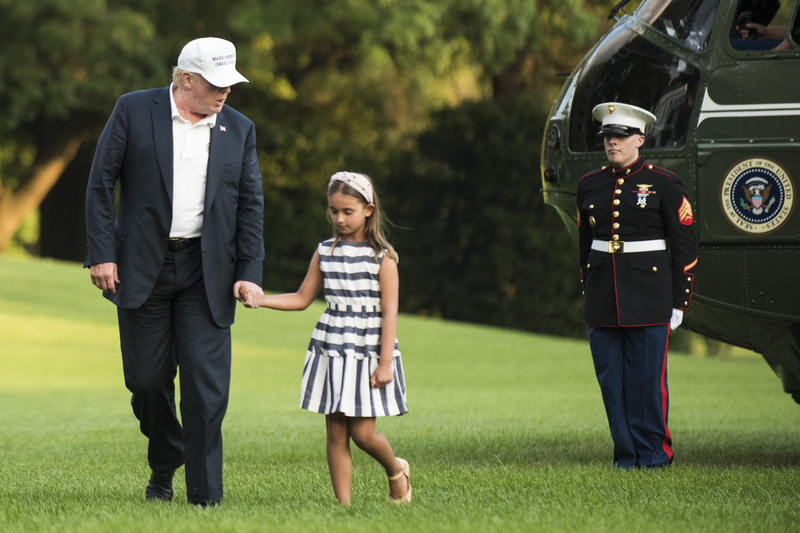 Trump disembarked Marine One walking hand-in-hand with Arabella, who looked a bit shy but happy. 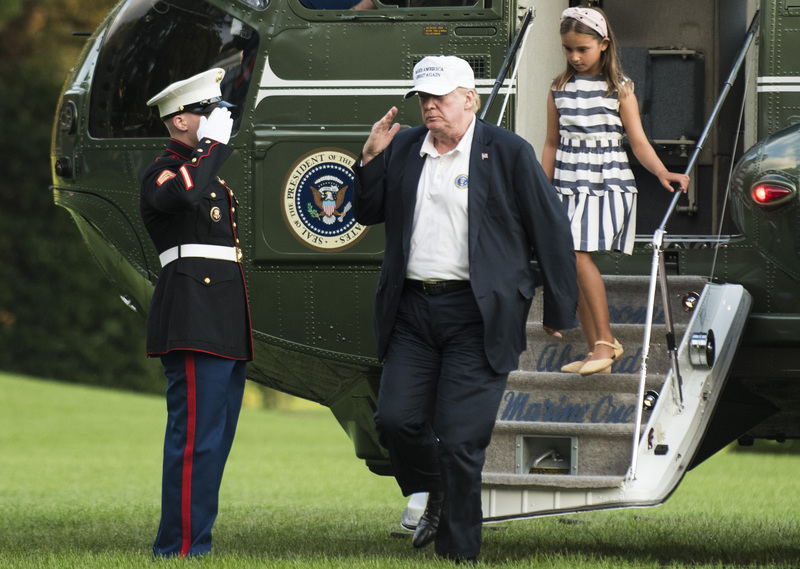 Trump saluted the Marines at the end of the helicopter stairs and walked across the lawn with his granddaughter. 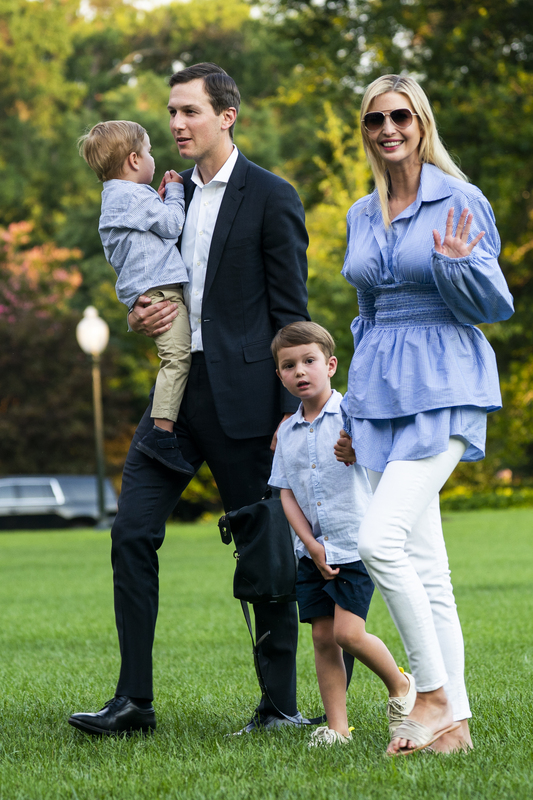 The pair was followed by Jared and Ivanka with their two sons. 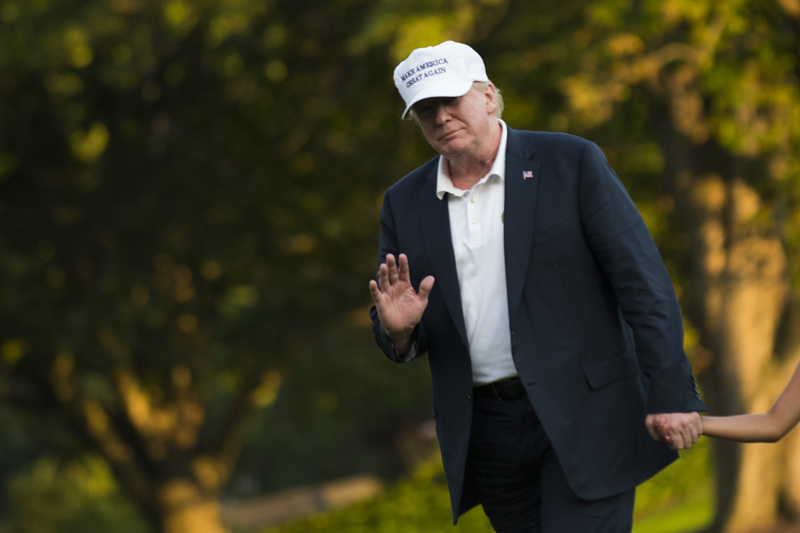 The president did not stop to answer questions from reporters.